The use of HBOT for various neurologic conditions was a central focus at the most recent Medical Academy of Pediatric Needs conference. This is an update to the extensive review presented here nearly 4 years ago. It’s not rocket science. Because human blood is already 98% saturated in room air (21% O2), simply breathing higher concentrations provides very little improvement, and might even be detrimental. Adding pressure to the air that we breath helps dissolve some gases into the bloodstream. Therefore, in addition to the oxygen that is already attached to (and released from) our hemoglobin, more ‘nourishment’ can become available for the tissues. Discussed here. More oxygen, more pressure, more danger, more expense, more schlepping. More effect? Suffice it to say, most people will not have the former in their own home. There are 14 FDA Approved conditions for the use of HBOT, with supporting evidence of varying persuasiveness. Whether returning from too much or too little ambient pressure, there is improvement from ‘letting the cap off’ more slowly. Non-healing wounds and those in diabetic patients. The scientific literature showing improvement refers to high O2 (100%), as well as pressure (> 1.5 ATM); therefore, a ‘Hard’ chamber. Cerebral palsy, stroke, and traumatic brain injury. Controversy about efficacy is unresolved. For CP, improvement was demonstrated with the ‘High’ pressure type. A recent paper did not reproduce those results. Another study showed no significant difference when patents were exposed to the ‘Soft’ version. Parents, therapists and physicians, myself included, have observed positive results in many severely affected children. There is evidence of improvement after exposure to the ‘Hard’ chamber in one patient with post-traumatic stress disorder, plus other anecdotal reporting. That was also the finding in a group of patients suffering from depression after a stroke. That’s the $2,000 – $100,000+ dollar question. For the uninitiated, that represents the cost to try, or buy, the various forms of this treatment modality. Yikes, what is a clinician to do? Or, the parents? At our scientific meetings, I have pressed some of the authors about the conflict. One doctor explained that, defending the ‘good’ outcome paper appears too proprietary. In the absence of stronger scientific proof, it shouldn’t appear that they are selling HBOT chambers. 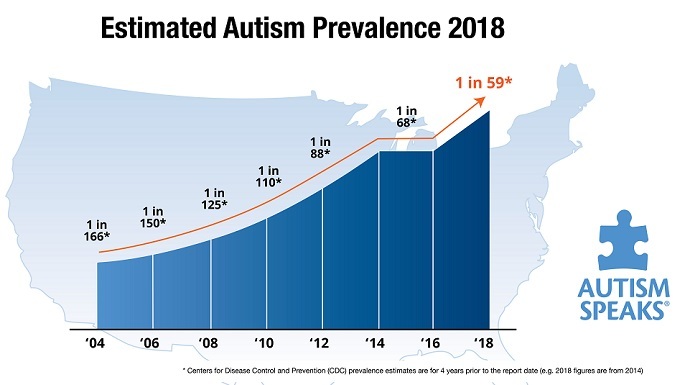 A different expert questioned whether there was a CARD (Centers For Autism and Related Disorders) conspiracy, with a bias against this intervention. We have enough of those controversies in autism. Depending on the family’s resources, parents who have “tried everything else” with few results may wish to explore HBOT. Adverse events are rare and mild. The FDA has issued a statement of caution against off-label use. I wish that they were as worried about antibiotics in our food. When systemic health is restored, many of the signs and symptoms of the conditions included in the diagnosis of ASD abate. To the extent that extra pressure addresses the sensory patient, HBOT can be a valuable (albeit expensive) therapy. Anaerobic bacteria and yeast would tend to shun the oxygen rich, higher pressure environment of a chamber. And, on a percentage basis, even +1.3ATM added pressure enriches plasma. The latest buzz involves ‘dormant’, not dead, neuronal cells, which are waiting to be invigorated. He’s right. We need to figure it out. This entry was posted on Sunday, September 28th, 2014 at 2:37 pm	and is filed under >ALL<, Alternative and Complementary Medicine for ASD, Autism Therapies, Conferences, HBOT for ASD, HBOT for ASD, Patient experiences, Sensory issues, Sleep, Special Therapies. You can follow any responses to this entry through the RSS 2.0 feed. You can leave a response, or trackback from your own site. As a physician and parent of a child on the spectrum, I have extensively evaluated the impact of 1.3 atm/24% FIO2. Although this scenario does indeed increase dissolved oxygen in the plasma, the same increase can be accomplished using supplemental oxygen for the same brief time periods without significant risk. This can be proven using the equation Cao2=1.34 x Hgb x SaO2 +(.003 x PaO2). As you can see, when the hemoglobin is fully saturated, dissolved O2 contributes very little to the total oxygen content. PaO2 can be increased nearly 5 times by increasing FIO2 to 100% which far exceeds the increase in PaO2 under 24%/1.3 atm conditions. And Yes, it does look like we were selling HBOT to desparate parents for profit when we could have gotten the same result with a portable O2 tank. I have been trying to read all the research to find out if and which type of oxygen therapy to use with my 17 year old son with autism. We have done the biomed route for a long time and are going to re-focus on metal detox, but I have been wanting to try oxygen therapy as well. I am responding to the above reply, but was wondering if it would be beneficial to just use supplemental concentrated oxygen without a chamber. I have not been able to find anything on that…only on chambers. I was considering getting a chamber with supplemental oxygen, but wonder if the chamber is even necessary. A full understanding of pulmonary physiology would lead to the conclusion that O2 alone does little to increase CNS oxygenation. Cerebral Palsy - disturbances in the brain that lead to motor (and other) difficulties.